knowing that extra services are “offered” and are not “mandatory”. following a particular time schedule for all meals. maintaining the tranquility of the homestay. keeping in mind that other families are also enjoying the comfort of the homestay at the same time. The whole concept is driven by the generosity and the involvement of the host in making your stay pleasant. 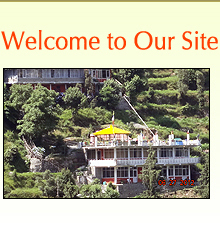 AND we at birdsnchirps have taken every step to ensure your comfort and enjoyment at our homestay. For the safety and pleasure of all our guests, certain norms must be maintained at the property at all times. No plucking of beautiful flowers. No damage to fruit trees. Please be advised that there is a beautiful walking path of 30 meters up from parking to the Homestay. It is advised that elderly people or people with medical complications confirm with the management of the Homestay before making the bookings. Please use dust bins at all times. Please do not wash your clothes in the bathrooms. For your convenience, a self-serve washing machine is provided for your laundry. We do not provide the laundry detergent. Please bring your own. Please try to travel light; possibly with soft luggage as it may be cumbersome to carry it up. Please inform us of your arrival time (09816331688 / 09816488467 or 09810536720) to the Homestay at least 24 hours in advance along with your meal preferences. Please do not open Dormitory windows to avoid mosquitoes or window breakage due to winds, etc. Any damage will be the responsibility of the guest. If you move any furniture around, please make sure it is put back in place before you sleep. The swing in the dormitory is for up to 2 persons only. Please make sure you don't damage it or hurt yourself. We do not provide ironing services, however, if needed we can provide this service for you at Rs.10.00 per garment. Rolls of toilet paper will be charged at Rs. 20 (small roll) and Rs. 45 (large roll). Please make sure you bring towels, soap, and other necessary toiletries that you might need on your trip. We do not provide these amenities, however, for guest convenience these can be purchased at additional cost from us. Taxis for your leisure trips can also be arranged at an additional cost. No pick up and drop is complimentary. Tips to the staff are at your discretion if you feel happy with their service. To see Wall photos of your Homestay on Facebook, you may please send an add request to Birds N Chirps Dalhousie . Help required by you for carrying your baggage will be Rs 30/- per bag. Website design by Newoaks Technologies © 2010 birdsnchirps Homestay .